We’re excited to announce that Flexible resin is now shipping! 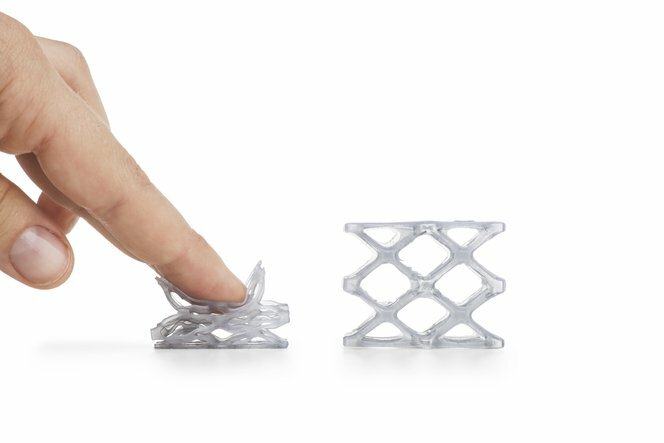 Flexible is the second member of our Functional Materials family and adds a new range of capabilities to the Form 1+ (and Form 1) 3D printer. Its elastomeric properties allow you to print models that are pliable when thin and resilient when thick. Flexible’s compression characteristics also make it great for custom grips, stamps, gaskets, and wearable prototypes. Read more about appropriate applications here, and take a look at the full technical specifications. Don’t forget to download our latest update to PreForm for access to the new material settings, as well as our redesigned support structures.